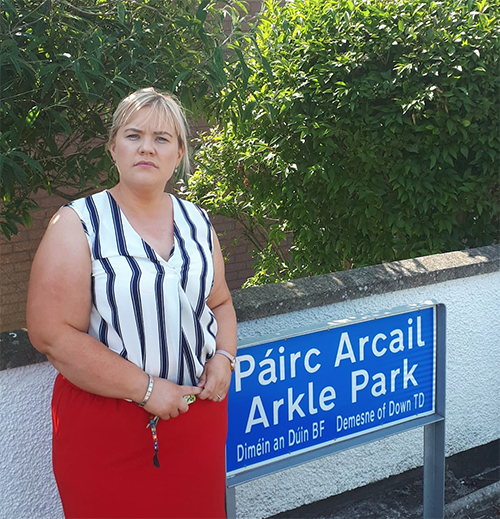 She has called on the DFI Road Service to consider any and all safety measure possible at Arkle Park in Downpatrick, and added: “I have made more appeals to the DFI Road Service to consider any and all measures possible to tackle road safety concerns that the majority of residents in this area are having. “It is worrying that there does not seem to be any real safety measures put in place in the area especially with a large number of young families living in the area. South Down MLA Emma Rogan is concerned about traffic issues at Arkle Park in Downpatrick.